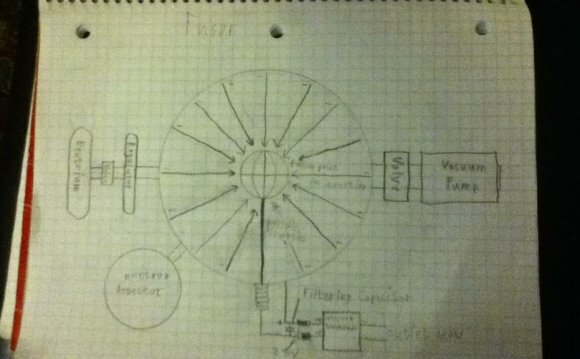 If somebody told you that a teenager built a nuclear fusion reactor in his garage, it would take quite some convincing until you believe them. Well, it has happened. And it was not only this. Conrad Farnsworth of Newcastle, Wyom, built the reactor when he was only 16, but now, at the age of 18, he has informed the public through Casper Star-Tribune that due to the inefficiency to produce energy, he will explore the chances of using it to produce cancer-fighting isotopes. The reactor was built with the guidance by members the international amateur fusion community. It presents a maze of wires and buttons, carefully positioned in the garden shed of his father’s house. The plasma inside the reactor can reach up to 600 million degrees Fahrenheit. Nuclear fusion reactor generates energy through joining of multiple atoms to form heavier nucleus, which releases and absorbs energy. These reactors, unlike the easily mistaken for fission reactors, do not produce radioactive waste and are perfectly legal to make at home. Farnsworth has already won the first prize in a regional science fair, and later on at the state level. He then attended the Junior Science and Humanities Symposium in Maryland and San Diego. Successful nuclear fusion reactors have been built by only 60 people in the world, but this achievement does not stop Farnsworth to continue improving and making his reactor more efficient. His interests and developments can be seen by everyone oh his YouTube channel.